As a lucky resident of Denver who has the benefit of Rocky Mountain water flowing through her taps, I don’t think too hard about the kind of water I use for my coffee. But guess what? It’s a thing! If you want the best cup of joe, you’ll want to do a little research on one of the basic components of making coffee: water. To get you started, I’ll lay out some of it for you here. True or false: the best water for making coffee is the purest, distilled variety. Did you guess false? You would be right! It seems reasonable that pure water would make a pure cup of coffee, but it can be among the worst—for the coffee’s taste and your equipment. According to extensive research by the Specialty Coffee Association of America (SCAA), the ideal mineral balance is 150 parts per million (ppm). 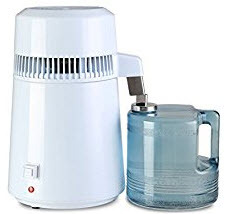 Now, distilled water has hardly any mineral content (roughly 9ppm), so using it for coffee preparation will result in a bitter or weak cup because it doesn’t extract enough from the coffee beans. As for your equipment, putting water that has a lack of ions or mineral content through it will degrade the machine’s performance over time. According to SeattleCoffeeGear.com, putting this water through equipment that consists largely of minerals (stainless steel, copper, nickel, brass, etc.) means it will leach minerals out of the metal components and slowly break down those materials. 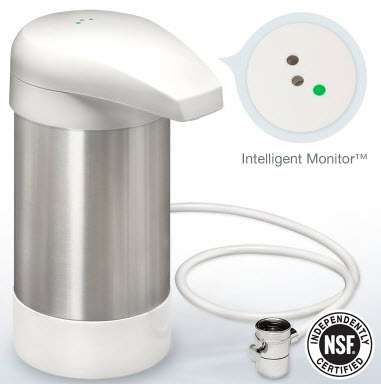 SeattleCoffeeGear.com also points out several models of machines on the market (such as the Rockets) use a minor electrical charge to determine water is in the reservoir. If the water doesn’t have enough minerals to conduct this charge, the machine's sensor will report the reservoir is empty. But also, beware of tap water. Most likely, your city will add chlorine and fluoride to the water, which can distort coffee goodness. One solution is to use a charcoal filter on your faucet, a water pitcher with a charcoal filter, or countertop systems. Just make sure you’re changing the filter as necessary for the best results! Now, let’s talk temperature. The SCAA says the proper temperature for brewing coffee is between 195 and 205 degrees Fahrenheit. But don’t worry about trying to get exact – the experts advise that we just bring the water to a boil, take it off the burner, let it wait for 30 seconds, and you’ll be right in that range. Easy! Overall, fresh, cold water is always the best starting point for brewing coffee. Hot tap water is not fresh and often has odd tastes and odors. Also, use bottled water selectively. According to ManualCoffeeBrewing.com, your best options for bottled water are labeled drinking or spring water. 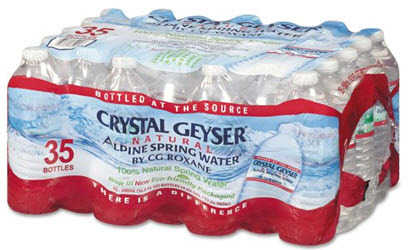 Jim Schulman (of Jim Schulman's Insanely Long Water FAQ) recommends Crystal Geyser or Volvic. 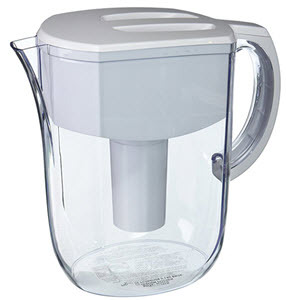 If you are buying bulk five-gallon water blended reverse osmosis (RO) jugs, try to locate a source that is adding magnesium for hardness back into the water instead of calcium (this may be difficult). Magnesium adds most to better coffee taste. 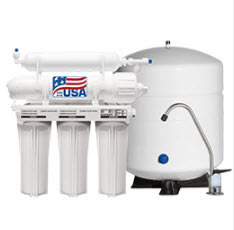 Generally, softer water is better – it encapsulates the minerals and maintains their structure within the water. Chances are, if you live in a place with hard water, you have measures in place to soften it, creating a good balance. If so, you’re good to go! If not, you can use countertop (see above) or under-counter systems (below) to soften and filter your water. Basic rule: if your water is tasty enough to drink straight (meaning well-balanced), your coffee will be too. Makes sense to me! When you’ve gotten the right balance on your coffee water, you can sit down in a cozy spot to have a smooth, wonderful cup of java. Just make sure you keep it hotter and tastier longer with a Kup Kap mug lid that’s just your style. OK, writing this blog post somehow has made me thirsty . . . time to go find some tasty water! Do you have tips for brewing coffee? Please leave your comments below!